When redesign­ing Mon­oDe­vel­op / Xam­arin Stu­dio to Visu­al Stu­dio for Mac, we need­ed a lot of new icons (thou­sands, in fact). Here’s a selec­tion of dark-theme icons – we also have light theme ones, and icons in select­ed states: both light and dark – they’re just white, dis­played on blue selec­tion rec­tan­gle, as what Apple Human Inter­face Guide­lines need. Please see shots on Dribb­ble, linked below, to under­stand the concept. New icons for the most used actions of the Visu­al Stu­dio for Mac. 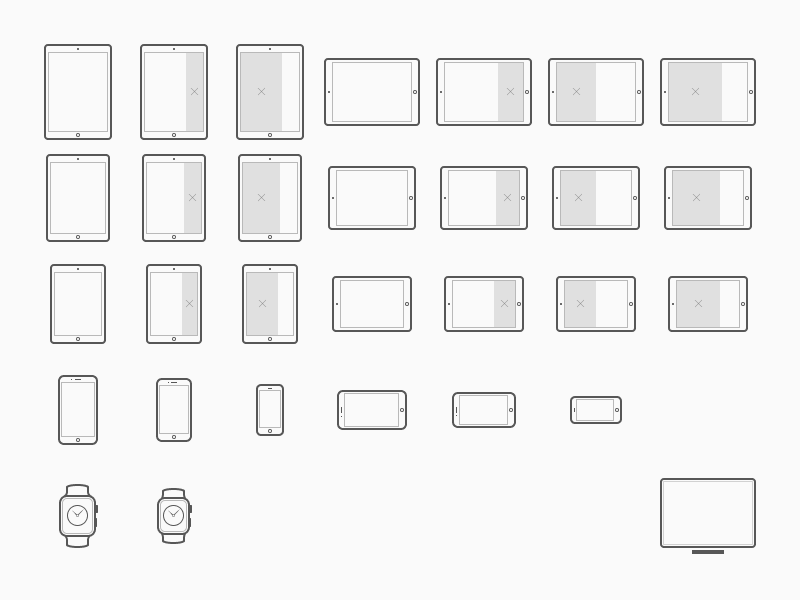 Some of the many 16px icons I’ve drawn for the Visu­al Stu­dio for Mac. Some of many file type icons I’ve designed for Visu­al Stu­dio for Mac. 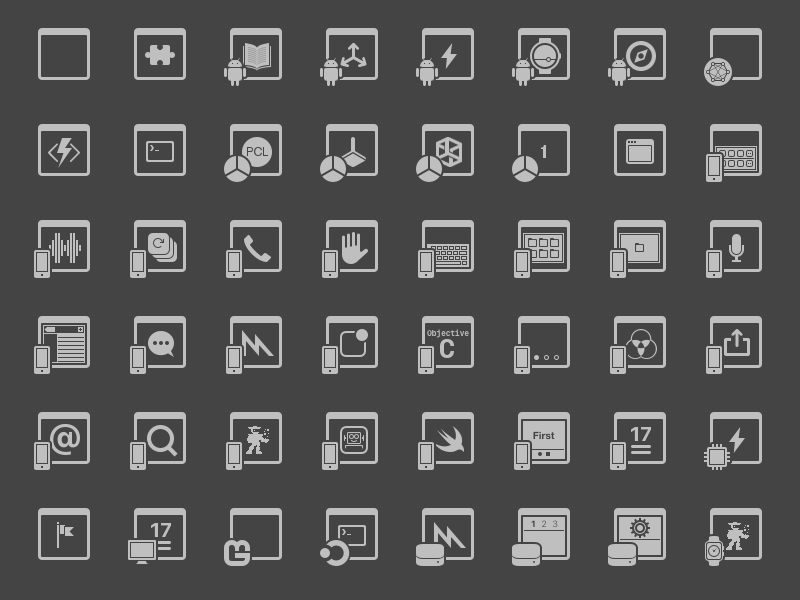 Some of the icons used in the New Project Dia­log of Visu­al Stu­dio for Mac. 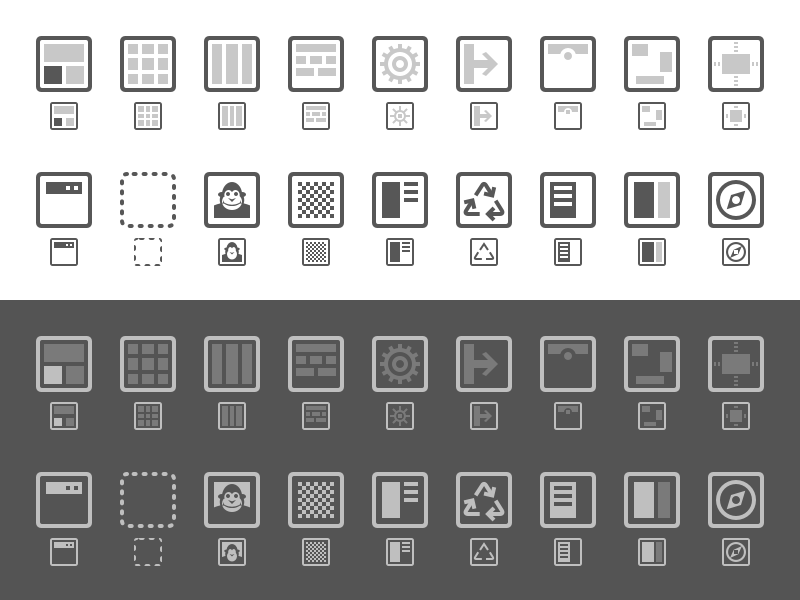 A set of iOS device scal­ing matrix icons. 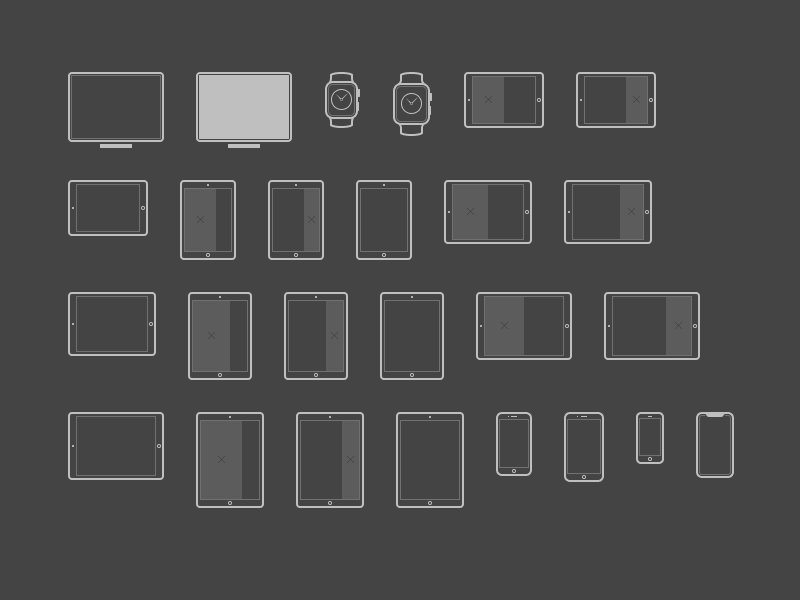 Here you can see a few icons used when work­ing with con­straints in the iOS Designer. A few pre­vi­ous­ly unpub­lished icons from Xam­arin Studio. 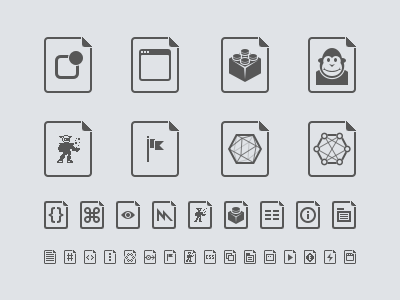 Some of the new file type icons we have for you in new Xam­arin Stu­dio (and some of them in Mon­oDe­vel­op too). 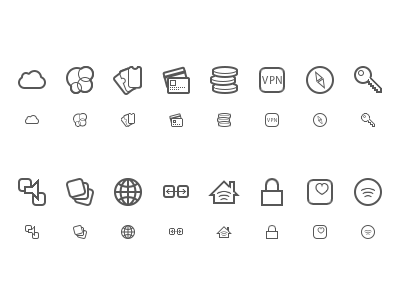 iOS Enti­tle­ment icons, used in the new Pub­lish­ing Wiz­ard of the Xam­arin Studio. Dark theme ver­sion of the pre­vi­ous iOS Enti­tle­ments icons. 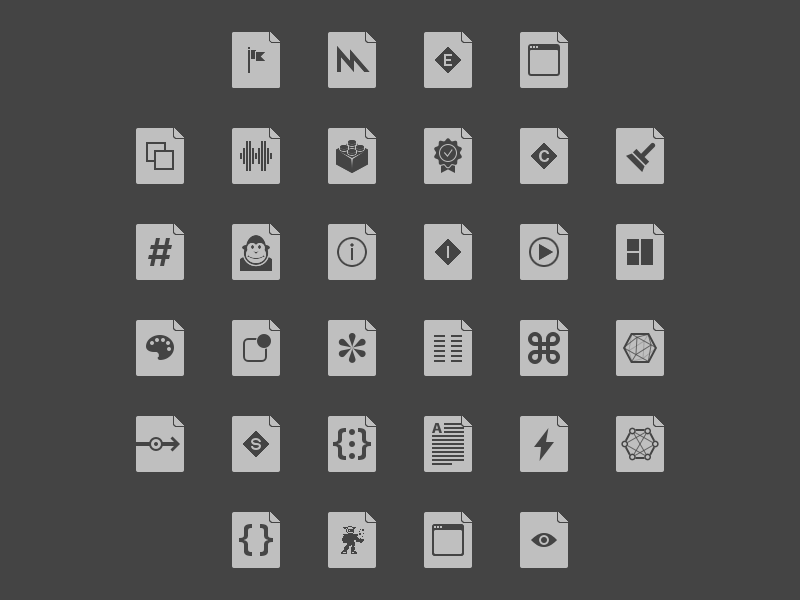 In Xam­arin Stu­dio we have a new Win­dows WPF menu with a ton of brand new icons.